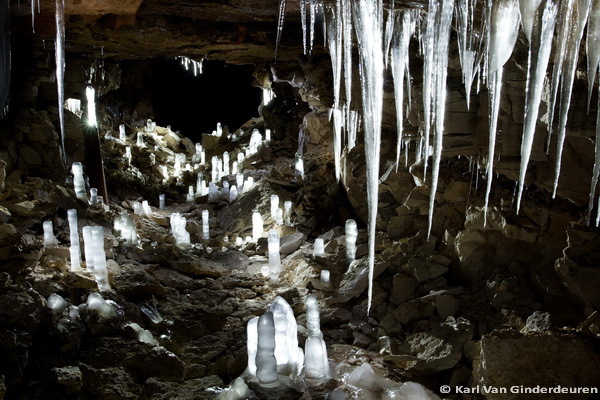 Several weeks ago, Pieter-Jan and I photographed this freezing bat cave in the Lorraine, northern France. using several sources of light, we were able to lighten all the icycles. The biggest one measures allmost 2m!